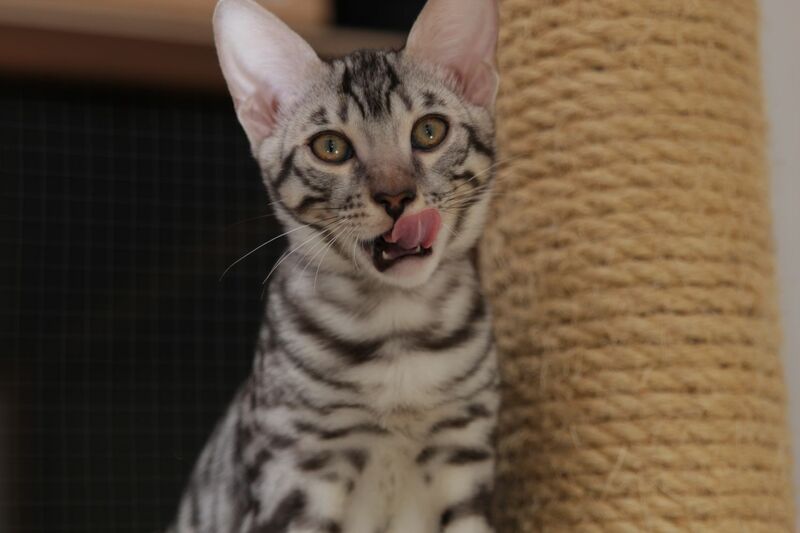 Welcome to WhiteStripes Cattery – The only Toyger breeder in Finland! WhiteStripes is a small TICA-registered homecattery in the heart of Kallio district, in Helsinki Finland. 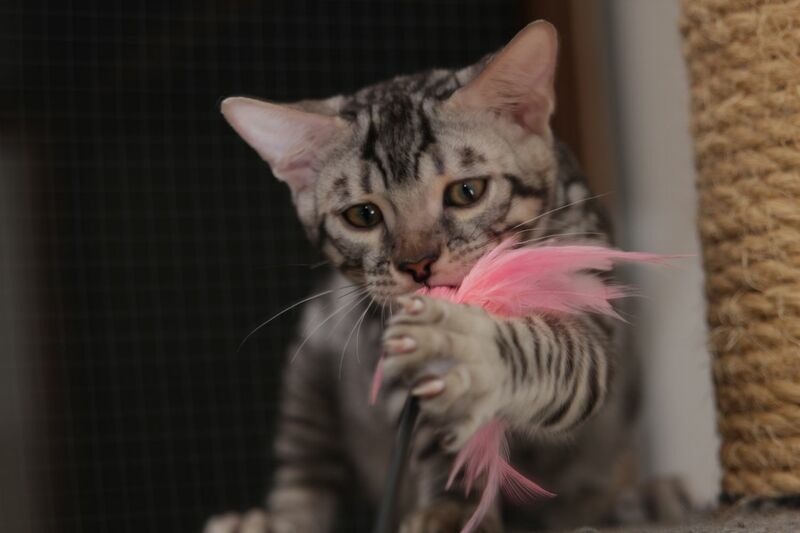 WhiteStripes’ breeding goal is to concentrate on silver Toyger development. It is very challenging colour to work with and there are only few catteries which are breeding silvers. Our primary interest is to breed healthy and cuddly companions with fantastic temperament. 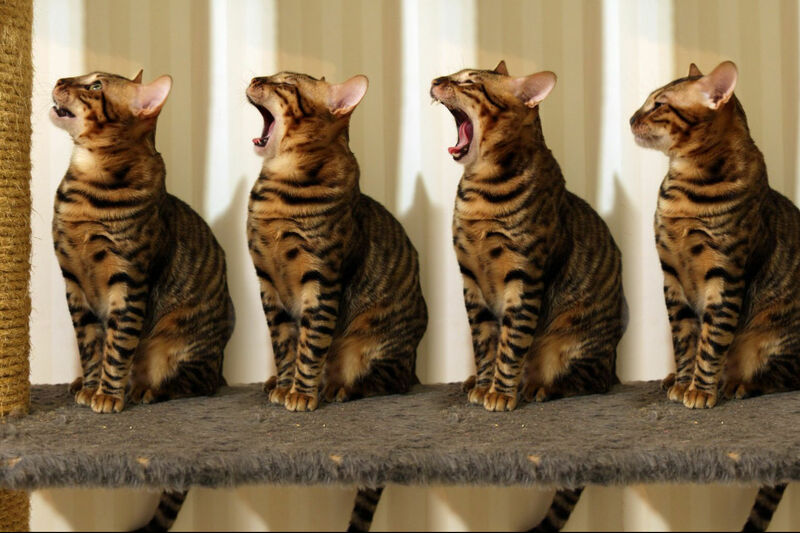 WhiteStripes is also a proud member of Toyger Cat Society, one of the largest communities amongst Toyger breeders worldwide. The Society has written specific Code Of Ethics that aims to keep breed pure and protected from inappropriate breedings. As members we are very committed to follow these rules. We don’t sell any breeder cats outside of TCS members. 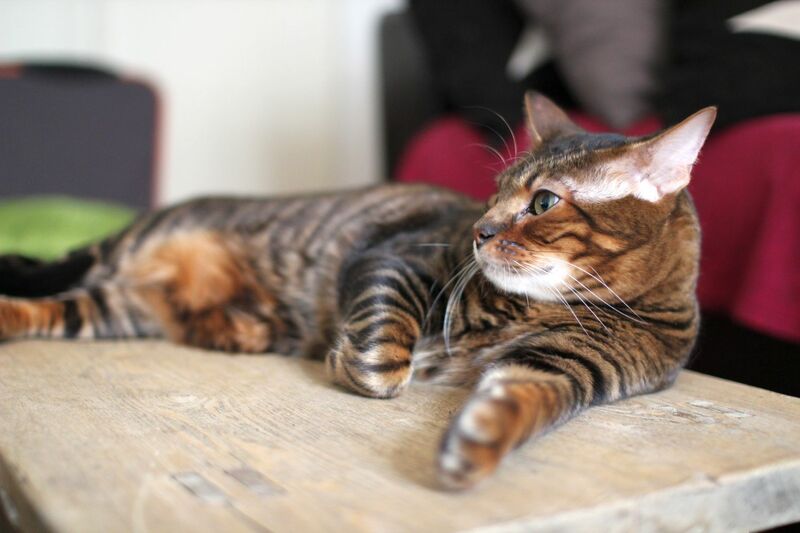 We fell in love with Toyger while living in London, UK in 2007-2008. At that time Toyger was introduced to UK in newspapers; the first UK breeders had been announced. 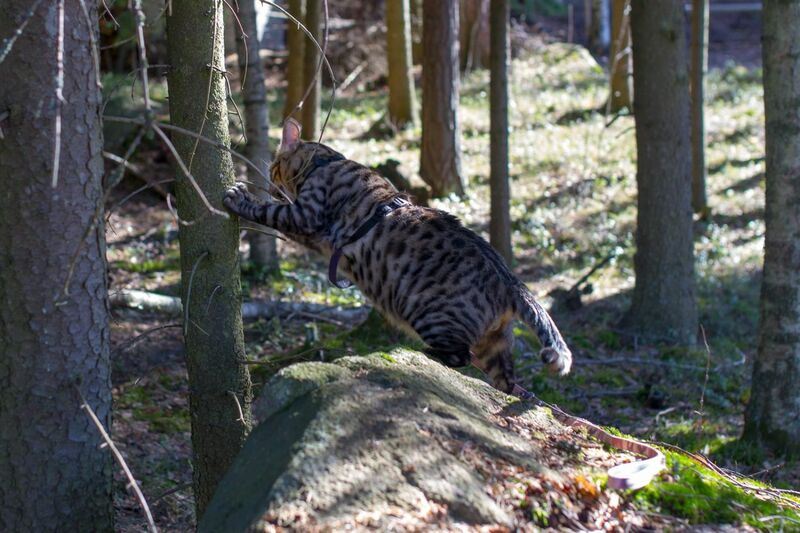 When we came back to Finland in spring 2008 we continued to gather information about Toyger and soon we started to search for a breeder that could sell us our first Toyger. RomanToygers Cispius moved into our Helsinki home in summer 2008 and we were even more in love with the breed. Then we got a surprising proposal to start breeding Toyger in Finland. It took us a few years to decide on the matter, that was a well thought decision. Our big dream of breeding the rare breed that stole our heart was about to start to come true little by little. We got our first breeder cats in 2011, silver SBT female Toygerland Lalique from USA and brown BON male RomanToygers Rayban from Italy. 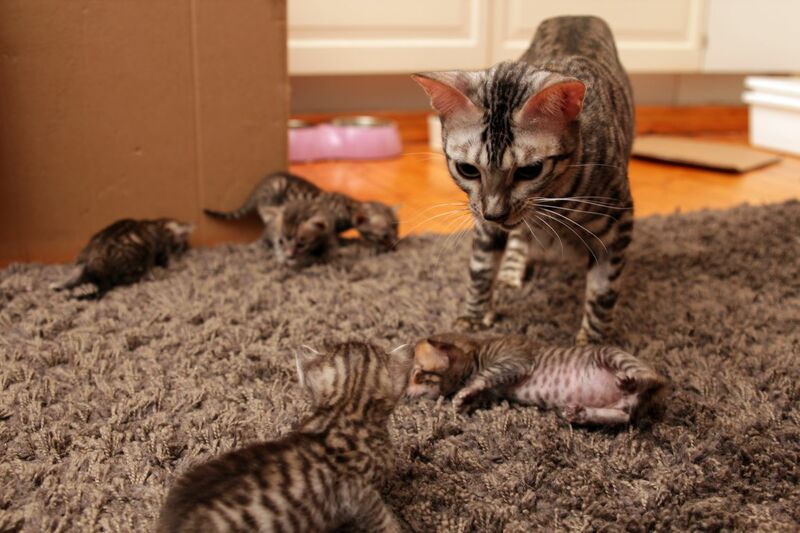 Our first litter was born on spring 2012, with 5 gorgeous CON Toyger kittens. We have had two litters since then from the same combination, both on 2013. We kept one female from our first litter, WhiteStripes Greenwich aka Tiuhti, and she was sent to UK for breeding. She had one litter in UK and our latest litter in summer 2014 here in Finland, which is our first SBT litter.